Bulgaria-born, Bay Area-based guitarist Hristo Vitchev, having firmly established himself as a gentle giant in the contemporary jazz scene, seems always willing and able to reinvent himself while holding true to the integrity of his artistry. 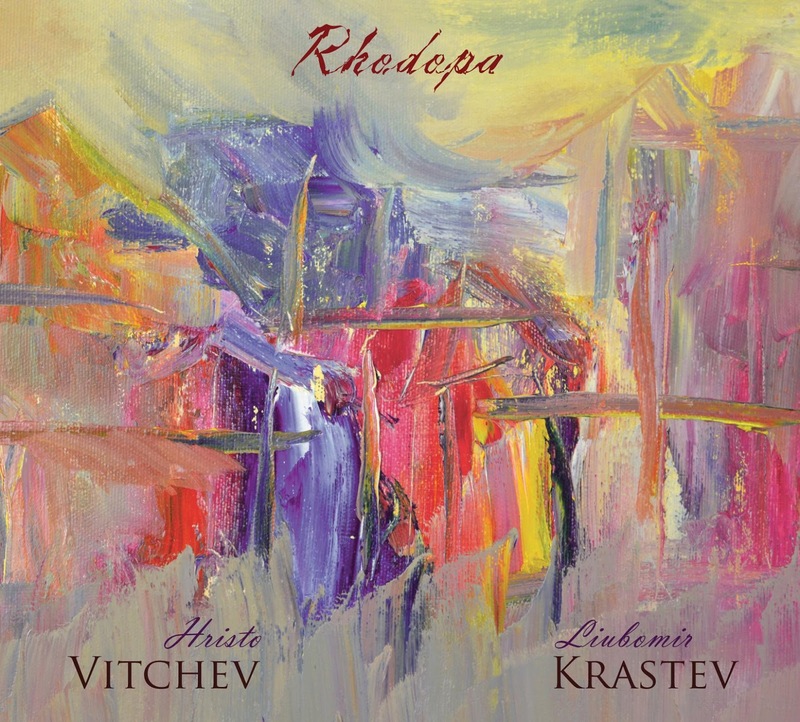 For Rhodopa, one of a prolific string of new releases, he joins clarinetist Liubomir Krastev in a unique duo setting of original tunes and Eastern European folk songs. The result is unquestionably Vritchev’s finest project to date. Some of his most perennial compositions, including “Silent Prayer” and “Blues for Clever Peter,” encroach upon the album’s roots-oriented landscape like sprigs of autumn foliage ready to let go of their branches. The latter tune especially shows the potential of this duo to turn a skeleton into a fully-fleshed body, rendering as it does a fluttering guitar ostinato as launching pad for Krastev, whose clarinet darts, soars, and dives without a trace of inhibition. The dynamic contrasts of “Devoiko Mari Hubava” (Beautiful Young Lady) likewise delineate fundament and firmament with clarity of vision. Vitchev’s steel-stringed harmonics stretch a canvas for Krastev’s fluid brushstrokes, bringing the music to new levels with the addition of a second (classical) guitar. This is the first of the album’s largely Bulgarian songbook, in which the upbeat virtuosity of “Polegnala e Todora” (Todora Took a Nap) fits snugly between the lyrical pages of “Lale Li Si, Zyumbiul Li Si” (Are You a Tulip, Are You a Hyacinth) and “Hubava Si Moia Goro” (You Are My Beautiful Forest), the last two brimming with heart and poise. Track lengths on Rhodopa range from one to ten and a half minutes, shortest in the two “Improvisations” by which the musicians dig deepest to the layers of tradition that inform their souls. There is, then, something about this music that speaks heart to heart. It is ancient yet also blossoms with new interpretive subtleties, welcoming us to dance and reflect by turns, knowing that spring is never far away, regardless of the season outside your window.